Property was clean and central. Breakfast included was handy. Best view on the island! All staff were attentive in every way, every little detail was taken care of and thoughtful, and the room was amazing. Where to find Anse Cochon hotels near an airport? Where can I find hotels in Anse Cochon that are near tourist attractions? Travelers are spoiled for choice when it comes to securing comfortable lodgings in Anse Cochon. Expedia's extensive and up-to-date database features 38 accommodation options within a 0.1-kilometre (0.06-mile) radius of Anse Cochon's central area. Wise vacationers who appreciate the many benefits of finding a hotel in the heart of town should check out the latest deals at the Ti Kaye Resort & Spa - Adults Only and Les Chaudieres, all of which are located within a 1-kilometre (0.6-mile) radius of Anse Cochon's downtown area. 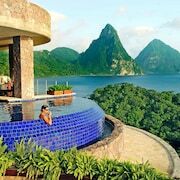 The Jade Mountain Resort is positioned 7 kilometres (5 miles) from the middle of Anse Cochon. Or, alternatively, the Sugar Beach, a Viceroy Resort is located 11 kilometres (7 miles) away. 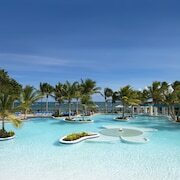 Some other places to rest your head include the The BodyHoliday All Inclusive and the Calabash Cove Resort And Spa. 11 kilometres (7 miles) away from Anse Cochon you will find Castries, home to the Immaculate Conception Church and Fort Charlotte. 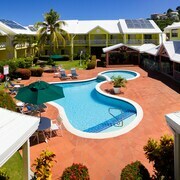 The Sandals Regency La Toc Golf Resort & Spa - All Inclusive and Rendezvous - All Inclusive - Couples Only are some of the great lodging alternatives in Castries. Or, you could consider staying in Choiseul, 15 kilometres (9 miles) to the south of Anse Cochon, where you can choose from the Ladera Resort and Fond Doux Plantation & Resort. The Choiseul Arts and Crafts Centre and La Maison Creole are just some of the more popular attractions to explore when you're in Choiseul. Get your sporting fix by making a trip to Beausejour Stadium, which is 20 kilometres (13 miles) to the northeast of Anse Cochon. 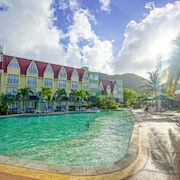 Sports fans wishing to find a room or apartment close to the stadium can choose from the Sandals Grande St. Lucian Spa & Beach Resort - All Inclusive or the Cap Maison Resort & Spa. If you are flying into or out of George F. L. Charles Airport and are looking to stay nearby try Sandals Halcyon Beach - All Inclusive - Couples Only or St. James's Club Morgan Bay All Inclusive. What are the most popular Anse Cochon hotels? Are there hotels in other cities near Anse Cochon? What other types of accommodations are available in Anse Cochon? Explore Anse Cochon with Expedia.ca’s Travel Guides to find the best flights, cars, holiday packages and more!